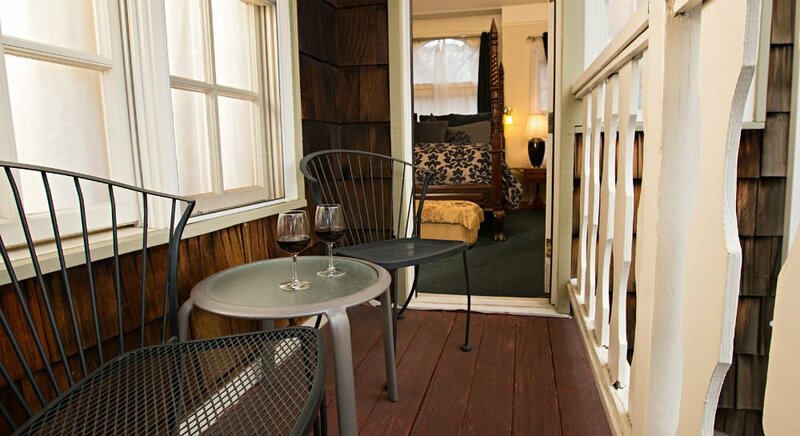 For honeymoons, anniversary celebrations, and romantic vacation getaways in Northern California, this spacious and elegant suite at The Victoria Inn has it all. 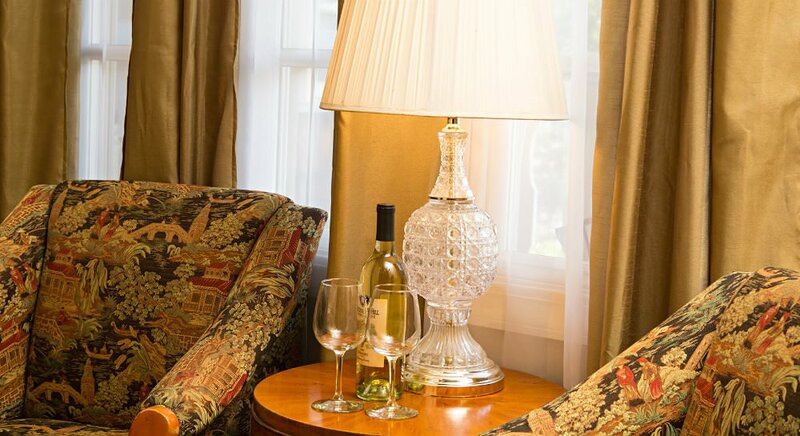 Enter through the comfortable sitting room with a double-sided fireplace, wet bar, fridge, and seating for relaxation. 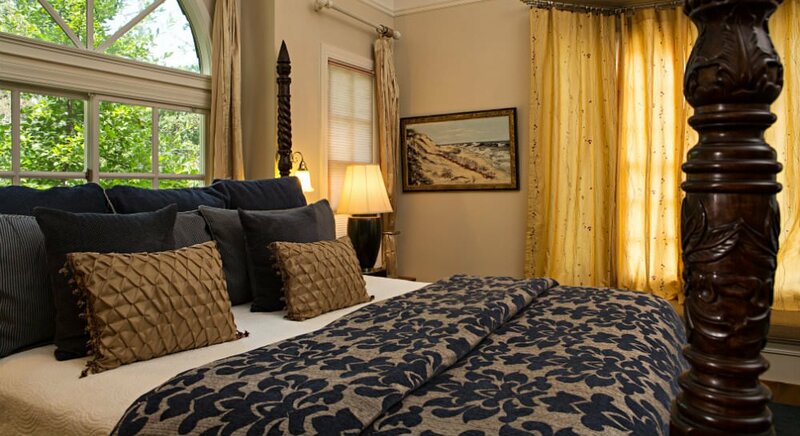 Beyond is the king bedroom with bay window and luxurious comfort, including a private balcony. 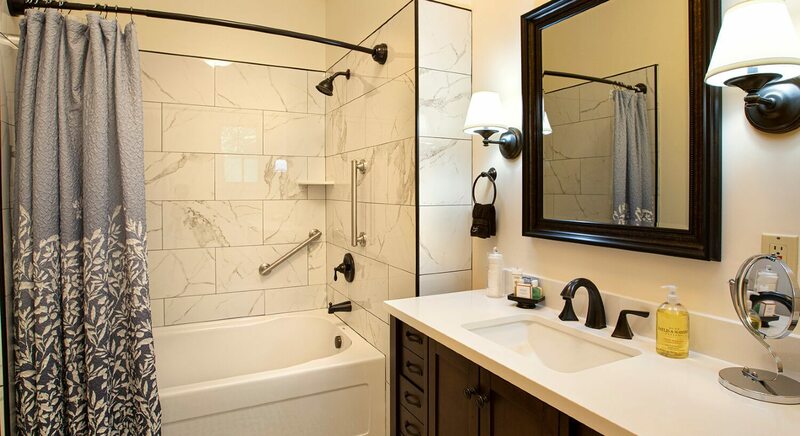 Large bathroom with spa tub and shower to meet your every need.